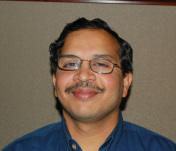 Srinivas is a Technology Director at Fannie Mae where he has been involved in leading design, development and implementation efforts of knowledge-based systems and content management tools. He has been associated with knowledge-based systems and business rules applications development for more than 20 years. He currently leads the Business Rules Management Center of Excellence at Fannie Mae and is responsible for developing standards, best practices for designing and deploying enterprise business rules applications. His interests include knowledge acquisitions, machine learning and business rules representation. He received his BE from Osmania University, MTech from Indian Institute of Technology and a PhD in computer science and engineering from the University of Cincinnati. He is a member of ACM and AAAI. Knowledge Acquisition and Rule Management Assistant (KARMA). However, the scope of these applications had been siloed and limited to specific business domains and the experiences and lessons learned from these applications did not translate into an enterprise vision until 2010. This presentation focuses on how an enterprise business rules management strategy was conceived in 2010 and various stages of its implementation during last three years resulting in the deployment of an enterprise business rules management system in 2011 and a centralized shared business rules service in 2012. It also highlights the ongoing activities including standing up a centralized rules governance process and adoption of various business applications that are planning to leverage the shared platform and business rules. The enterprise business rules platform enabled us to develop a streamlined license management process. We are also able to implement common business rules analysis, design and development best practices and templates across the organization. We are able to leverage skills and resources across multiple applications. We identified opportunities to share rules across applications resulting in consistent and cost effective policy automation.